Fixing ropes on the Abruzzi Spur on K2. 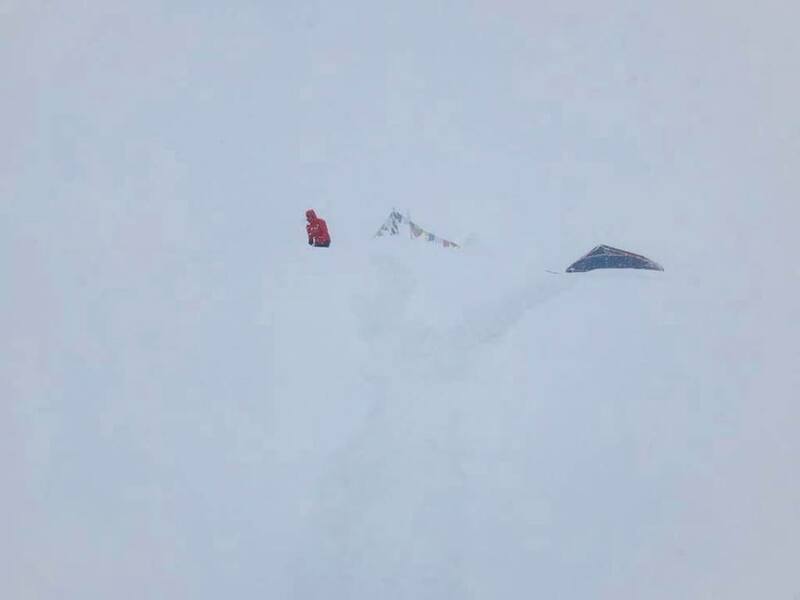 Yesterday, Manaslu experienced hurricane-force winds and six metres of snow — “yes, six f#####g metres!” confirmed Simone Moro, who had never seen anything like it. Conditions are slightly better elsewhere: On K2, the two teams are speeding on parallel lines up the Abruzzi Spur. Meanwhile, on Nanga Parbat, Nardi and Ballard have gone back up to Camp 2. 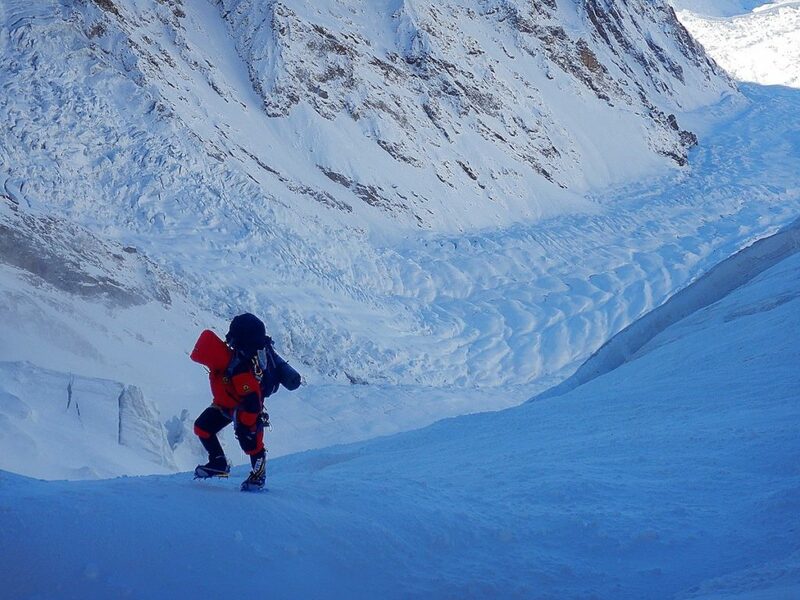 Two days ago, Alex Txikon – whose team includes five Sherpa climbers – left Base Camp to explore K2’s East Face. The wall is nightmarish even in summer due to its high exposure. 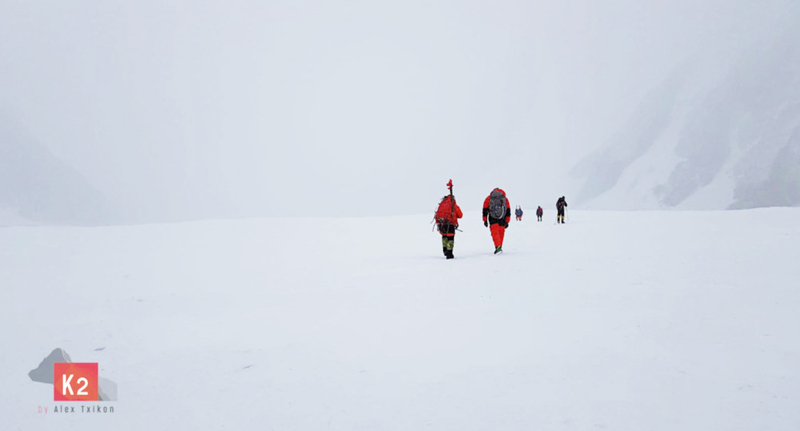 Txikon hoped that conditions could differ in winter, and thus might permit a climb along a different line from the “normal” Abruzzi Spur. On a darker note, Waldelmar Kowalewski has to abandon the expedition after a chunk of ice struck him on the shoulder. The injured climber was helped back to Base Camp, where he will be evacuated tomorrow. 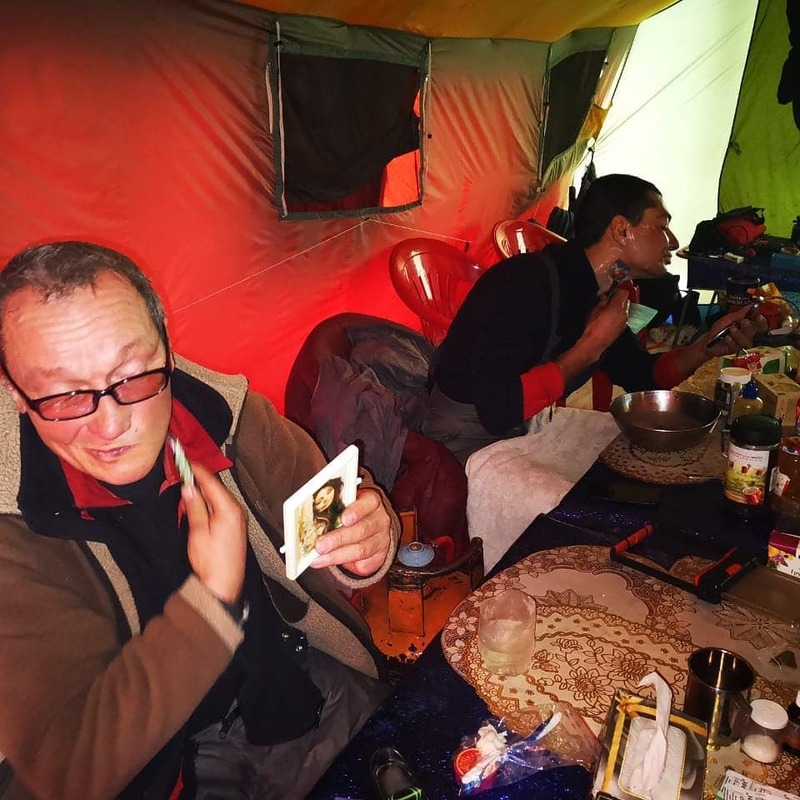 The snow and wind threatened to destroy their tents, forcing them to shelter in the kitchen tent overnight. Sleep was not an option for anyone. “We had to concentrate on shoveling and keeping at least one single tent free,” Moro recounted. “The four of us took shifts without breaks, we continued to shovel, shovel, shovel.” Check out the storm on this video posted by Moro. The team has supplies for only six more days, but meteorologist Karl Gabl forecasts sunny weather tomorrow and Wednesday. 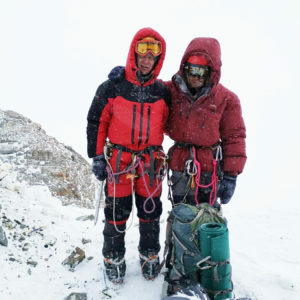 In Pakistan, on the most westerly of all 8000’ers, Daniele Nardy and Tom Ballard are back up in Camp 2. Karim Haiat joined them but had to return after discovering that wind and snow had flattened his tent. 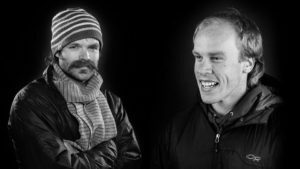 “The climb was not as tough as yesterday, but it’s really cold today,” Nardi reported from the second tent, barely big enough for Ballard and himself. 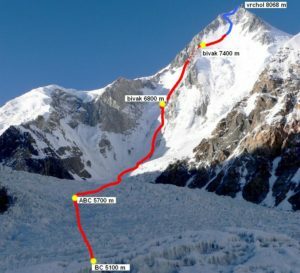 On a previous push, the team tried to reach Camp 4, right above the glacier on the Mummery Spur, but a gale similar to the one now slamming Nepal forced them back. 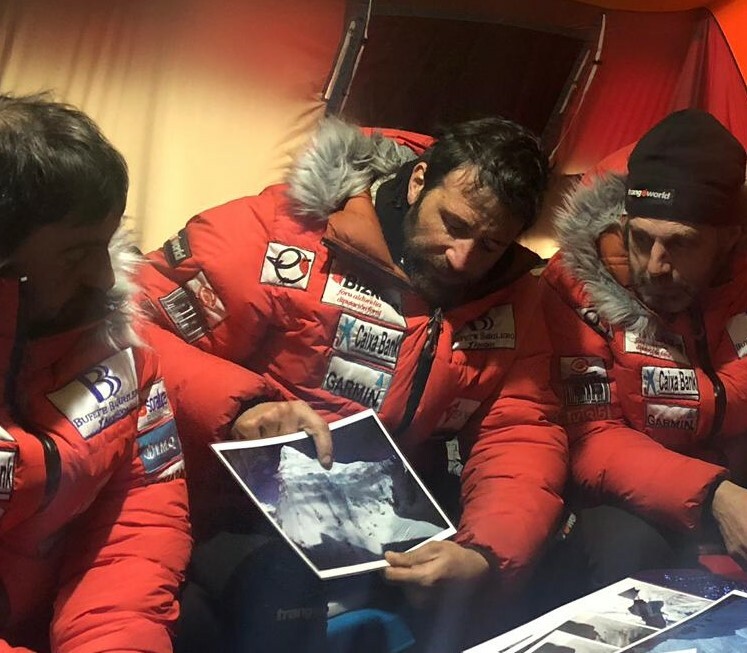 “We could barely stand up in the wind, so we left a rucksack full of kit attached to a trio of ice screws and abseiled back down to Camp 3,” Ballard wrote. He also mentioned that the snow ridge where Nardi and Elisabeth Revol had set up a camp on a previous attempt doesn’t exist anymore. The climbers will have to find a new location. 1 Comment on "Winter 8000’ers Update: Gale on Manaslu, East Face of K2 “Impossible”"
Wow, many thanks – I hadn’t seen this paper. I can see that we still have a lot to address!